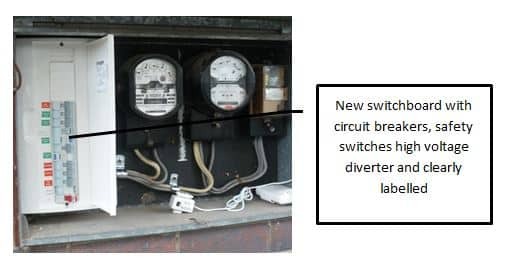 The switchboard shown below needs an upgrade to a modern switchboard fitted with circuit breakers, safety switches for both light and power and high voltage diverters. The picture below shows the new switchboard fitted into the metal enclosure. 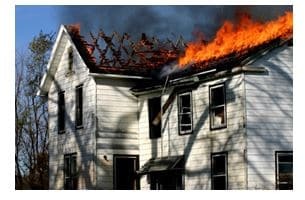 Old switchboards and fuses are a major cause of house fires. Open up the switchboard cover, so you can discover if you have circuit breakers or fuses. Fuses are the older technology, so if they are present, it’s likely you’ll need to upgrade your switchboard before too long. The other factor to look at is whether the switchboard looks crowded. If there is crowding and you intend to add additional devices requiring dedicated circuits, such as air conditioners, spas, etc., then is very likely you will require an upgrade. You may also need to upgrade the incoming mains to the switch board. The incoming mains are the cables that run from the point of entry to your house to the switchboard. Old houses usually have 6mm incoming mains (rated to approx. 40amps), medium size new houses have 10mm incoming mains (rated to approx.63 amps) larger houses have 16mm incoming mains rated to 80amps. Old houses only had a few lights and an electric stove and one or two power points. Today we have many electrical devices in our homes that need a lot of power (and amps) to run those devices. You need a greater current capacity (amps) to run all of those devices i.e. a larger cable. You have an old house and the switchboard has rewireable fuses. If the main switch is rated at 40amps. 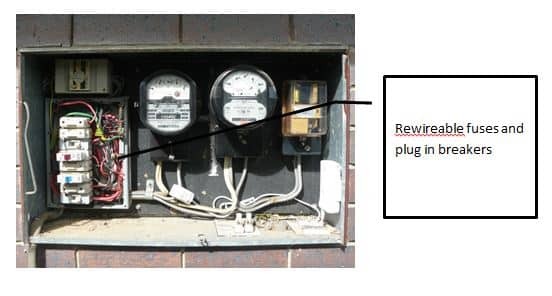 If your meter box (generally houses your switchboard) is small, rectangular and horizontal (as pictured above). In the very old Queenslander houses the switchboard and meters were mounted on timber hanging down under the house. The cost to upgrade incoming consumer mains is approximately $600 depending on the distance between the switchboard and point of entry. Underground cable upgrades are more expensive. This is a guide only. Always get a qualified electrician to evaluate your incoming mains. Get in touch with Crown Power today!